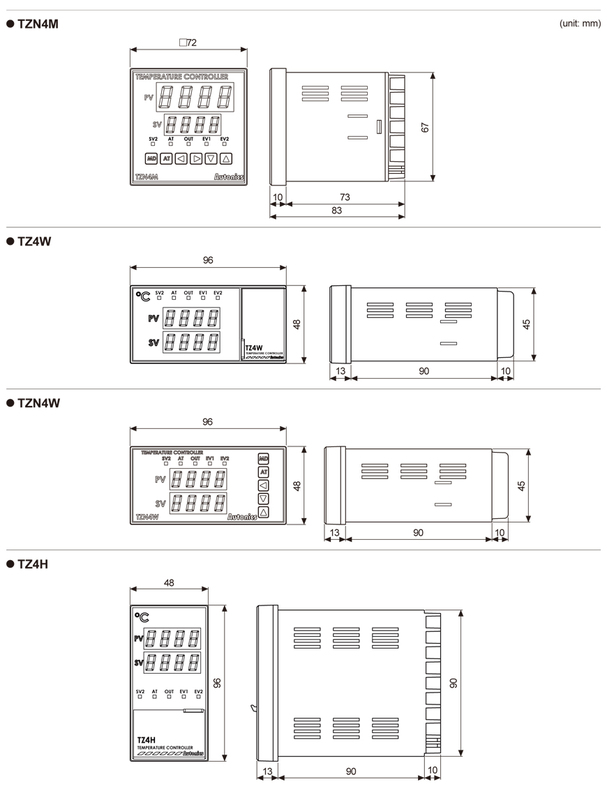 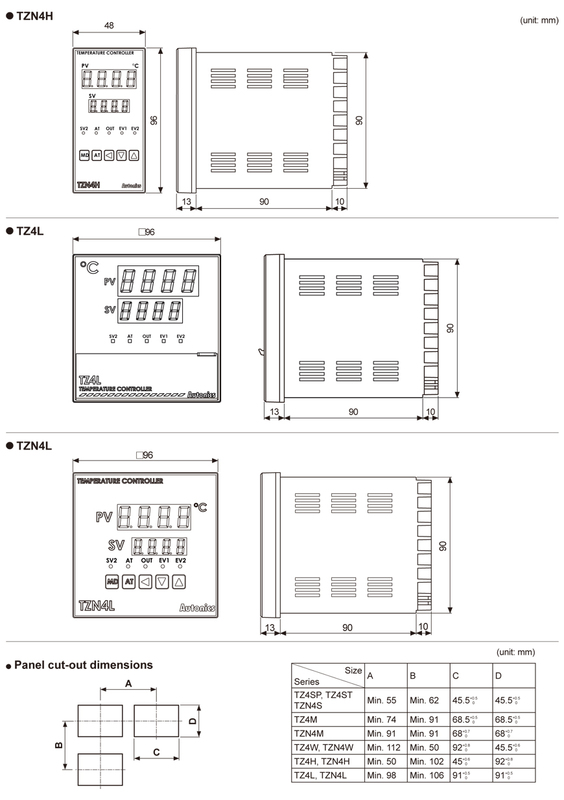 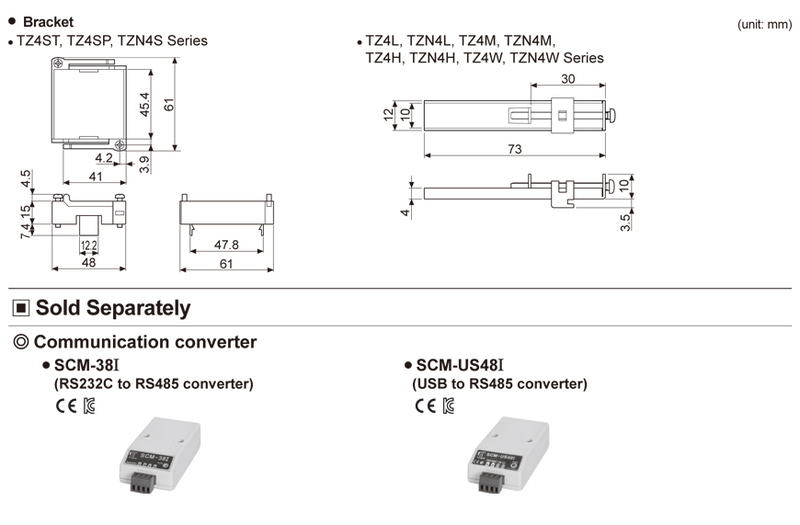 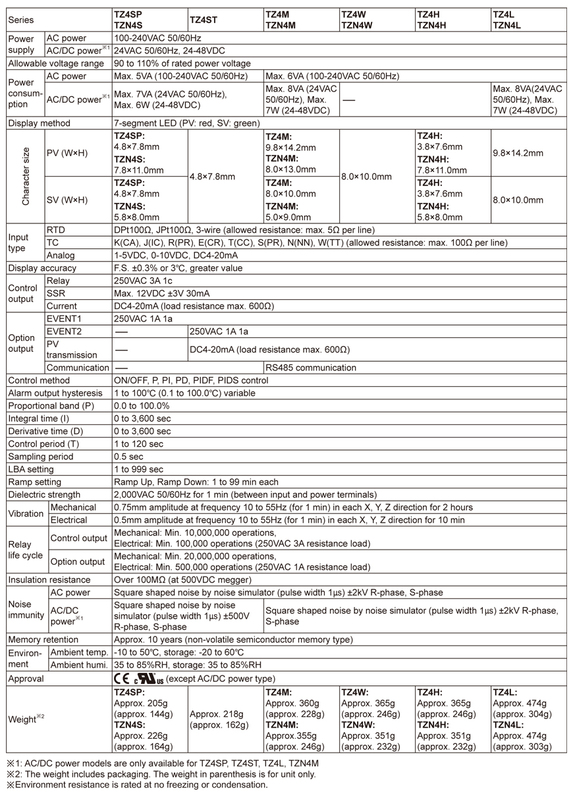 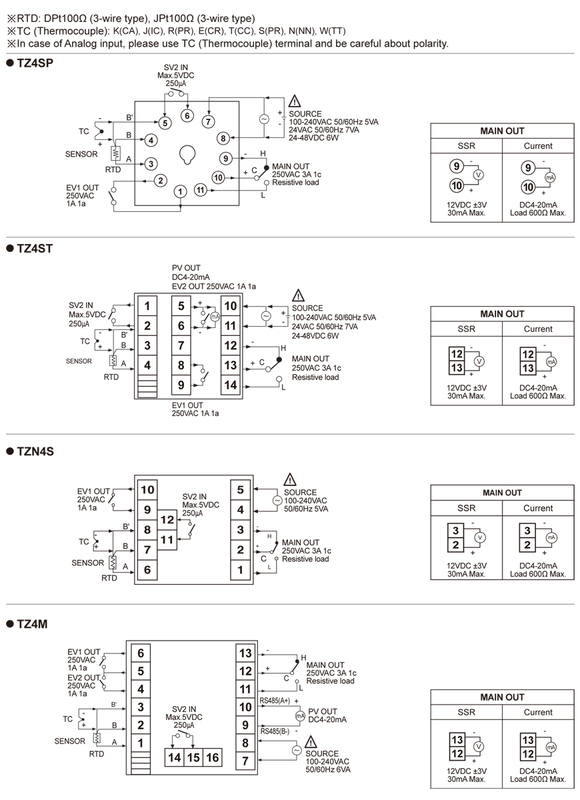 The TZ/TZN series universal AC/DC models (24 VAC 50/60 Hz, 24-48 VDC) will be discontinued. 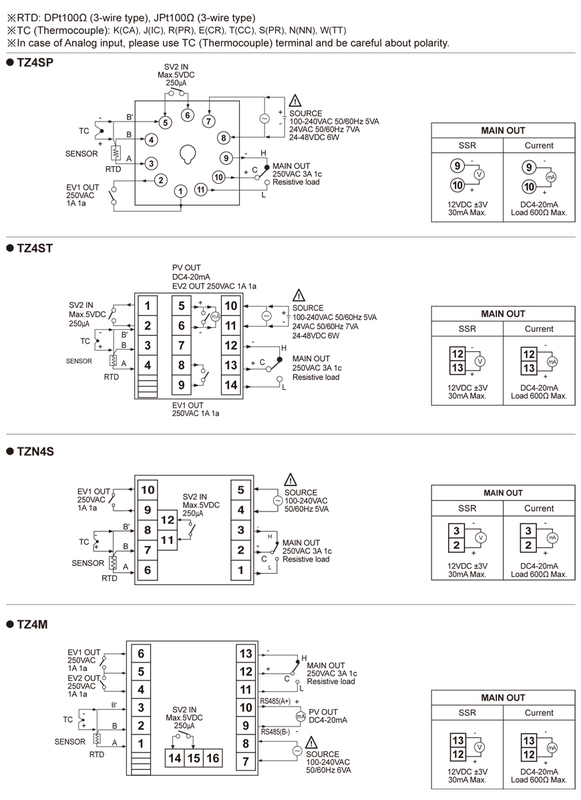 ● Dual PID auto tuning function: High-speed response of PID control to reach to the desired value fast, low-speed of response of PID control to minimize the overshoot even though response is a little bit slow. 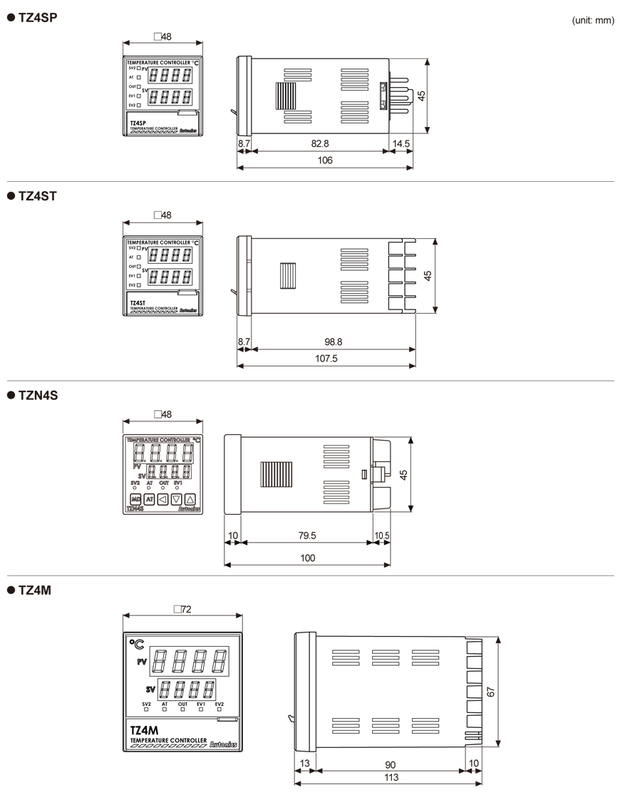 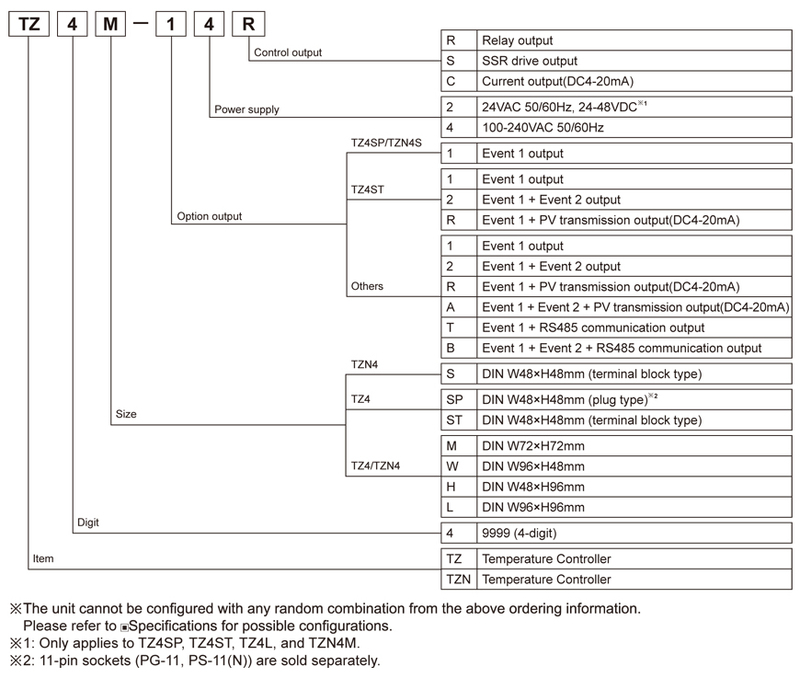 ● Multi-input function (13 kinds of multi-input selection function): Temperature sensor, voltage and current selection function.